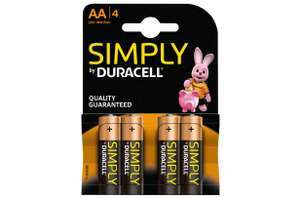 Poundstretcher has these for £1.49 or 12 for £3.79. 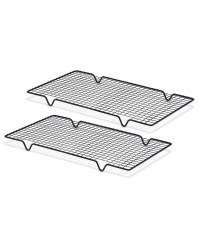 Agreed, cooling rack deals in 1st place anyway. really?? Says out of stock online but link used to show different colours available! Loads in stock in Washington Blackfell branch. Doubles as cctv cleaner, put some cloth through the hook and extend to clear them spiders webs over the camera lens. Half price at Aldi, was 99p now 49p Found in ALDI Dunstable but may be nationwide. Oh that's a good price. I quite like Lidl's own brand of these too but they're deadly. I can almost get through whole pack before I've finished my flask of coffee. I'll stay away, only rice cakes for me for a while. But IV only got one child. Adopt a child, don't keep having children! I think one of the Aldis in Milton Keynes has one they still haven't sold, probably because they still wanted close to full price for it last I saw. how bad this printer is? are there any alternative ink carts? True, but you also mention very occasional printing and copying. Like I said before it only works out cheaper if you plan on buying no more than 2 sets of replacement ink for the lifetime of the machine. I wouldn't recommend this. I could never get it to link with my mac and the Canon app would always crash whilst trying to print anything. When I'd use it after a while I would have to relink the printer everytime! In the end I just got rid of it. Scanning to computer costs hee haw in ink. No printing involved! Not really no. its only a good deal if you plan on only buying two sets of replacement inks and no more. Anything after that and the other printer will work out considerably cheaper. You heard; it's that time again. The next aftermarket wheel to take over from Land Rovers on dropped VAG muck! I've yet to discover a mass produced lager that isn't gassy tap water so I fear you haven't really cleared anything up. I know this is a deals site and is this a good deal, probably (no pun intended), but it's a naff product because if it wasn't I'm sure you'd be getting far more heat. It's export by name as it's the stronger version. Should be carlsberg premium really. As the tap water stuff is sub 4% and this is 4.8. Hope that clears things up. It is made in UK like 98% of drink. When a child you know is paralysed from a trampolining accident then I hope you find time to think back on this...I have simply stated a concern that is valid and warrants a second thought rather than an impulsive purchase without thinking about all the factors. You should be ashamed of yourself. I’m afraid I still disagree with you over the risks and we’ll just have to agree to disagree as you can’t accept what I’m trying to say. If you banned cycling you could prevent children’s deaths. Sadly one young lad died recenlty cycling on the road the two other boys were seriously injured. I haven’t heard of a child dying on a trampoline in the same area. If I tried to stop parents buying a bikes I could stop injuries and deaths. I’m sorry for anyone who has lost a loved one in a cycling accident. I don’t think bikes should be banned or it irresponsible to let children ride them out and about, equally I think trampolines are fine for kids I think both bring a lot of enjoyment. Needed a chainsaw and this one seemed reasonable for a petrol one. Wanted it straight away so popped into the Aldi in Chertsey to get it. Scanned in at £69.99. So much can go wrong with a lot of things if you’re not careful not just a chainsaw but agree on proper clothing. Tangy Toms Multi-pack (8 x 16g) found in Aldi Fareham on 18/04/19 priced at £0.49p - usual price £0.99p. Best before date 29 June 2019. Great deal for those that enjoy these! ALDI was founded in Essen, Germany in 1946 when Theo and Karl Albrecht took over their mother’s grocery store. They introduced a number of innovative new ideas in order to keep costs down and prices low. Today the group's “fresh every day“ produce is a major attraction for high street shoppers and weekly special offers on products like computers, tools, furniture, and electrical appliances are a regular feature both online and on the high street. ALDI has won over 40 retail industry awards, has been named Supermarket of the Year and Grocer of the Year in recent years, and is now the UK’s sixth biggest supermarket chain. The ALDI group has stores all over the UK and you can find your closest one by entering a place name or postcode into the Store Finder function on their website. While you’ll still have to visit your local supermarket for fresh food and basics, you can now shop for special buys from the comfort of home thanks to the launch of ALDI's online store in spring 2016. 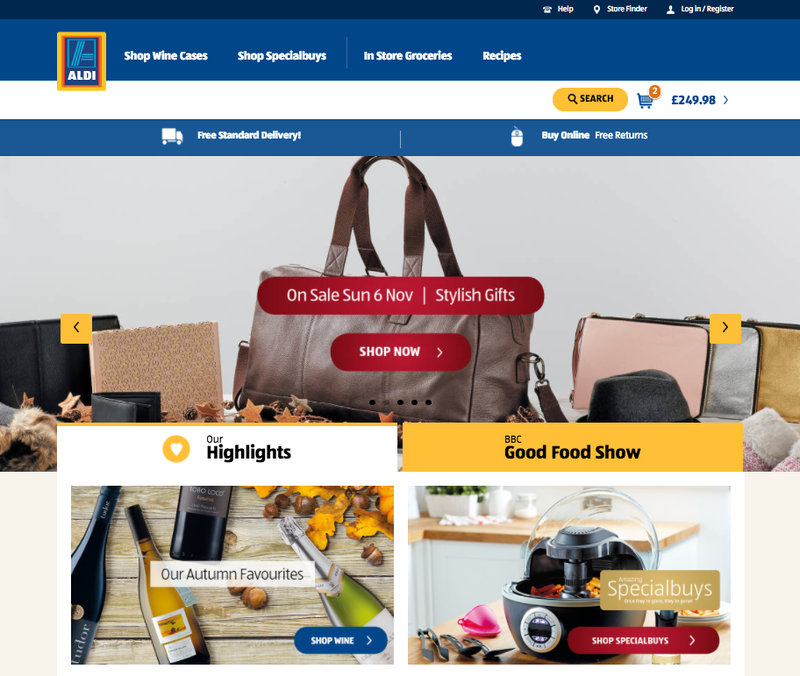 Simply visit www.aldi.co.uk to find bargains on everything from soft furnishings and electrical appliances to wine, beauty products, and clothing. Wine – Shoppers can select high-quality wines, in cases of 6 bottles, at very competitive prices. Clothing – Browse a selection of own brand products for men, women or children. For kids there are special ranges featuring favourites like Frozen, Spiderman and Mickey Mouse. Baby & Toddler – Find essentials like sleepsuits and bibs or stock up on ALDI’s Mamia disposable nappies. You’ll also find a selection of clothes, toys and games alongside products for expectant mums. DIY – Paintbrushes, tools, stepladders, work boots and gloves are just some of the items that you might discover when you browse ALDI’s DIY special buys. Electricals – Whether you’re looking for a TV or a toaster, a microwave or headphones, ALDI has regular offers on a wide selection of electrical appliances. Health & Beauty – Stock up on basics like heat pads and cold remedies or discover the award winning caviar skin care range from ALDI. Home & Garden – Shop at aldi.co.uk for soft furnishings like cushions, rugs and bedding or find deals on occasional furniture and garden accessories. Each year ALDI unveils some of its most attractive offers over the Christmas period, but shoppers will also find seasonal deals at other times such as during the August to September Back to School period. The store is unlikely to be an official participant in the annual Black Friday retail event and maintains that, thanks to ALDI’s special buys and deals, every Friday is like Black Friday. Shoppers can sign up for the ALDI newsletter to be among the first to get news of promotions, like ALDI’s “Baby Event”. 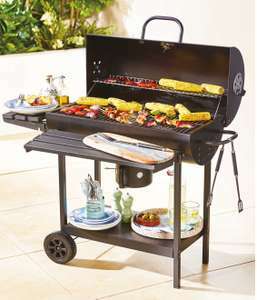 You can also use special voucher codes to get further discounts on many of the products at aldi.co.uk. Shoppers don't need to register when they shop online, they can shop as a guest with the option of creating an account later. An email address is required so that the store can confirm orders. It is worth taking a few minutes to create an account as it makes checking out faster in future. Browse special buys at aldi.co.uk by category or choose to look at all the week's offers. Click on the item you want and select the size, colour or quantity. Once you have finished shopping just click on your basket. You'll then be taken to checkout where you can follow the simple instructions to complete your order. At present, customers can pay for goods with Visa or MasterCard in the ALDI online shop. ALDI delivers to most UK mainland addresses and shoppers can enjoy free standard delivery as part of the store's online launch promotion. Normal Standard Delivery is £3.00 and orders are expected to arrive within 3 to 5 working days. However, if you're in a hurry to get that must-have product, just order before 6pm from Monday to Thursday and select Next Day Delivery for £4.00. If you're not home during the day, you can choose Named Day Delivery for a charge of £4.00 and pick a date up to two weeks in advance. Alternatively, opt for CollectPlus and have your package delivered to a nearby location for £3.00. Fill in the Returns form and enclose it in the package with the item being returned. Stick the correct label securely to the package. Take your parcel to the Post Office and mail it. Be sure to ask for proof of postage. Complete the Returns form and place it in the parcel with the item you are returning. Place the correct label on the outside of the parcel being sure to cover the original delivery address and barcode. Take the parcel along to your closest Collect+ point. Ask for a receipt for your package and a tracking code. Special buy products can be returned to your nearest ALDI store with the original receipt. Your refund will be applied to your payment card shortly after the returned item has been processed. The ALDI group has a strong social media presence and you can keep up with the latest news and promotions at Facebook or Twitter. Be sure to take a look at YouTube and Pinterest for ideas too. Make shopping on the go easy with the ALDI App. You can download it for iOS and Android devices. You can also sign up for free e-mails at aldi.co.uk to make sure that you never miss any of the best special buys or events. If you need to contact ALDI you can use the Contact form on the website. Whether you want a tricycle for a toddler, a new TV, a set of cushions, or a case of wine you can keep up to date with the best ALDI offers at the store's dedicated merchant page at hotukdeals.